Some of the things I have been working on the past few weeks. 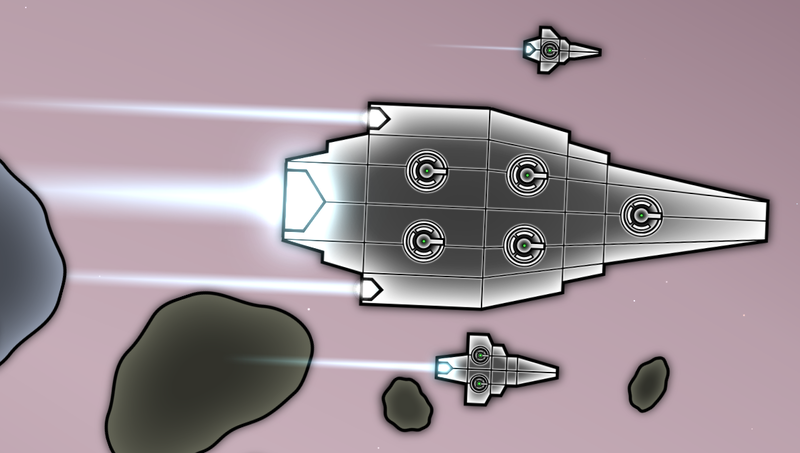 Below is an image of the first capital sized ship that I have finished. The two smaller ships that can also be seen are a Frigate and Cruiser. Ship types that will be capital sized will include Carriers, Battleships, Colonisers and Dreadnaughts. The plan is for each faction to have at least 6-8 different capital sized ship hulls when the game is finished, there will be a lot of smaller sized ships as they take a lot less GPU texture memory. 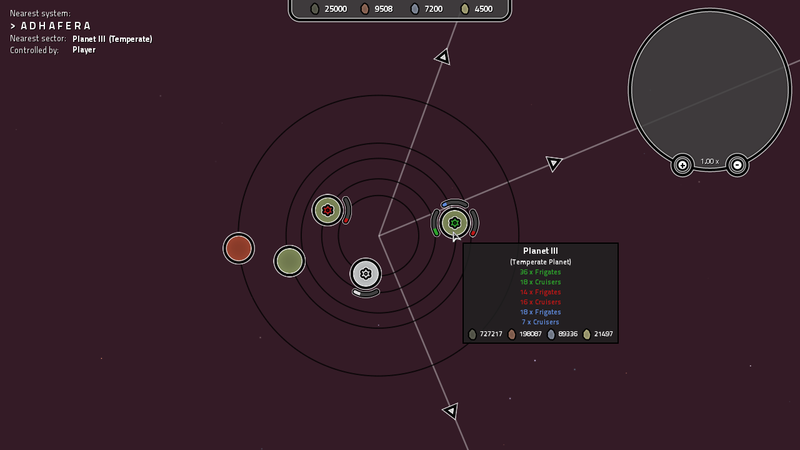 This is the interface for the system level which displays planets and stargates in the star system. 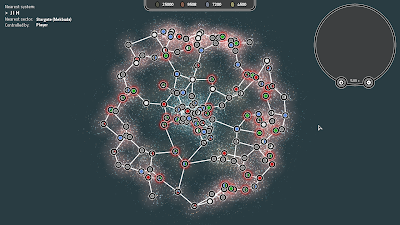 The coloured icons at the center of a planet show which faction has a colony there. 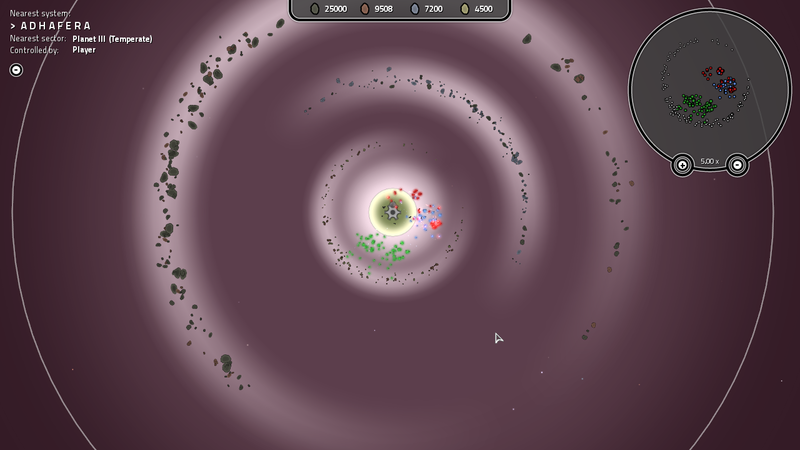 When you hover the mouse over a planet it will display a summary of ships there including the total asteroid resources. Ships warping to planets and stargates will be visible on the map here as well. 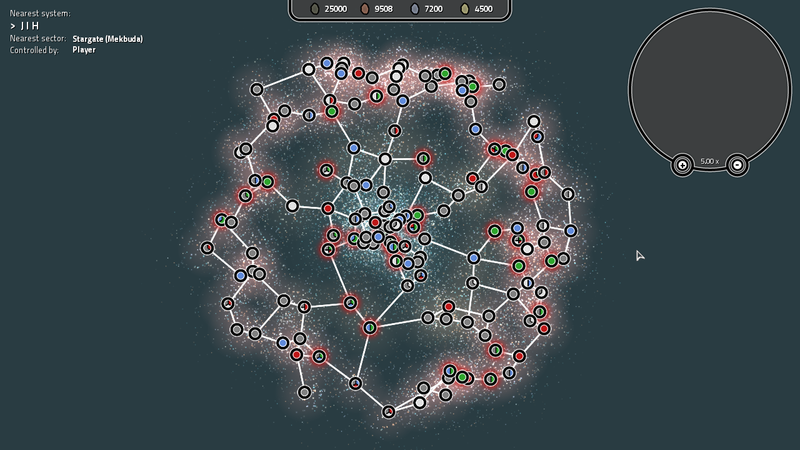 Below is a work in progress for the galaxy level interface. 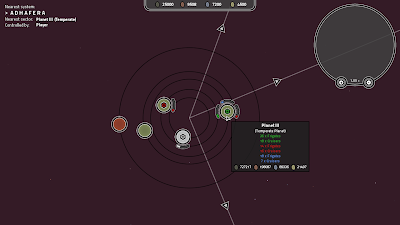 The "pie chart" icons show the percentage of planets in the system each faction controls. Each system will display a red glow if a battle is taking place there involving the players colonies or ships. The reason why the faction controlled territory isnt clustered together as you would expect is because the screenshot was taken in a quick test galaxy where planets were assigned to random factions. 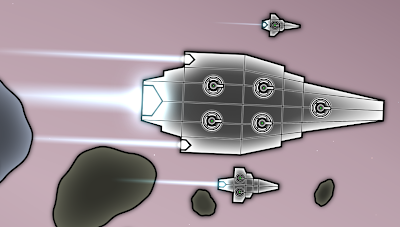 Made some further changes to ship faction identifying lights so that they get larger and more visible the more zoomed out you are. This makes it easier to see whats going on during massive battles. In my next blog post I should have a new video showing off some new projectile and area of effect type weapons as well as some support modules that I'm currently working on.